Knowledge Management is fully embedded when refusing to do it is not an option. Let me give you an analogy, from the world of Safety. A couple of years ago I was conducting knowledge management exercises at a gas plant in the Niger Delta. In places like this, safety is a huge consideration; both personal safety (keeping individuals safe in a hazardous environment), and process safety (keeping the environment from becoming even more hazardous). For example, it was mandatory to wear a hard hat and safety boots when on site, no matter how uncomfortable these might be in the African sun. One of the engineers was giving me a tour of the plant, and we were on a high walkway when he spotted a worker who had climbed a tall tower and was sitting at the top, resting in the sun, without his hat and boots on. Immediately the engineer stopped the tour, and ordered this guy to put his safety equipment back on and report to his foreman about the break of safety regulations. It did not matter that the worker was safe, and that nothing was about to fall on his head or his feet – it was that such behaviour – such a breach of the safety policy – was not permitted. One small breach for the sake of resting in the sun could lead to a larger breach, and then to something dangerous. There was zero tolerance, and everyone was involved in reporting breaches. Even out of sight on a tall tower it was not allowed, and anyone (like my engineer) who spotted it would take action. If this worker could get away with avoiding the safety rules, then others would know, and would copy, and soon there would be a reduction in safety discipline, and accidents would happen. Now, if we truly want Knowledge Management to be embedded, then we will eventually need a similar attitude. Imagine if lesson-learning were truly embedded in the project lifecycle for example. Imagine that the leadership of your organisation had realised the cost of repeat mistakes and rework, and had made it clear in their Knowledge Management policy that they expected every project to identify, document and share lessons and knowledge for the benefit of the rest of the organisation. Then imagine what would happen if people could get away without doing it. As soon as one project manager realised that they could skip lesson-learning with no sanction, then the others would also realise, and would copy, and soon there would be a reduction in learning discipline, and repeat mistakes and rework would creep back in. This breach of the Knowledge Management policy, this neglect of lesson learning, could cost the organisation millions of dollars and put other projects at risk. It should not be permitted. If you are serious about Knowledge Management, and if you want it fully embedded in your organisational practices and your organisational culture, then you need to aim, eventually, for a time when people cannot get away with not doing it. Avangrid is a US-based service company in the Energy Market. Their website says “Our 6,800 employees collaborate to deliver projects that power America’s future, provide clean energy and improve customers’ lives and communities”. To support this collaboration, they recently published this Knowledge Management Policy, most of which I reproduce below. I really like the vision of making knowledge a common asset, and aligning it with strategic competencies. The Board of Directors of Avangrid, Inc. (“Avangrid”) oversees the management of Avangrid and its business with a view to enhance the long-term value of Avangrid for its shareholders. The Board of Directors of Avangrid (the “Board of Directors”) has adopted this Knowledge Management Policy (this “Policy”) to assist in exercising its responsibilities to Avangrid and its shareholders ….. The effective development, dissemination, sharing, and protection of Avangrid’s intellectual capital enhances operational efficiency and is a key element in creating sustainable value for Avangrid’s shareholders. As part of Avangrid’s efforts to implement best practices in knowledge management, this Policy sets forth the main principles that will guide the Avangrid Group in the appropriate dissemination, sharing, and protection of existing knowledge and the implementation of initiatives, procedures, and tools that enable its directors, officers, and employees to benefit from the continuous learning and cultural exchange opportunities. a) Identify the existing knowledge held by each person and working group within the Avangrid Group and promote the further development of such knowledge. To the extent strategically beneficial and permitted by applicable law, the Avangrid Group will make existing and newly developed knowledge accessible to all other members of the Avangrid Group in order to maximize operational efficiency. b) To the extent strategically beneficial and permitted by applicable law, integrate the Avangrid Group’s tangible and intangible assets in order to create an intelligent organizational structure that rewards continuous learning and innovation. c) Align knowledge management with the competences and requirements set out in the Avangrid Group’s strategy. d) Develop standard systems of knowledge management, identification, and protection across the Avangrid Group that streamlines the proper dissemination and sharing of knowledge within Avangrid Group and enhances operational efficiencies. This will include identifying, developing and putting into places the resources necessary to foster knowledge sharing to the great extent possible through efficient internal dissemination and training; where appropriate, creating and enhancing organizational networks throughout the Avangrid Group; and enhancing the cohesion of existing working groups and teams. e) Evaluate the existing knowledge within the Avangrid Group in a consistent manner so that the Board of Directors and, where appropriate, management can assess the effectiveness of the initiatives implemented under this Policy, make changes and improvements where necessary, and promote new innovations in knowledge management. f) Respect the intellectual and intangible property rights of third parties in the knowledge management of the Avangrid Group. What’s the point of having a KM Policy? Here are 8 arguments in favour. The KM policy is a statement of intent. It declares that the organisation believes KM is important. Conversely, if there is no olicyy, that declares that the organisation believes KM is not important. The KM policy sets clear expectations and accountabilities for all staff. It is a statement of expectation and defines KM accountabilities for the organisation. Creating a KM policy requires the support of senior management. Therefore the policy is a visible sign of senior management support, and it indicates that senior managers want things done the right way in KM terms. The policy also requires you to work with senior management to define the expectations and statements, so drives you to deep engagement with leadership. The KM policy gives direction without being prescriptive. It therefore sets boundaries within which people in the organisation can tailor their own KM approaches. The KM policy resolves tensions between opposing forces. Like the tension between open sharing of knowledge versus information security – the only way that will get resolved is through an overarching policy statement. 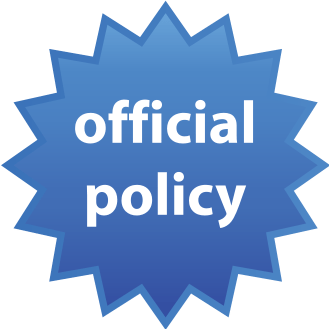 The KM policy sets minimum standards for KM. This gives you a baseline to measure against, and a way to recognise those people who are not doing what they should in KM terms. The forthcoming ISO Knowledge Management Standard will almost certainly require a KM policy. This standard will be a Management Systems standard, and the template for an ISO management systems standard contains a section on Policy. ISO believe that an effective management system must be supported by a polity, and that applies to KM just as it does to other management systems. Found here, an interesting KM policy statement from the Hong Kong Police Force. Short, but powerful, and a good example of content for a Knowledge Management policy. 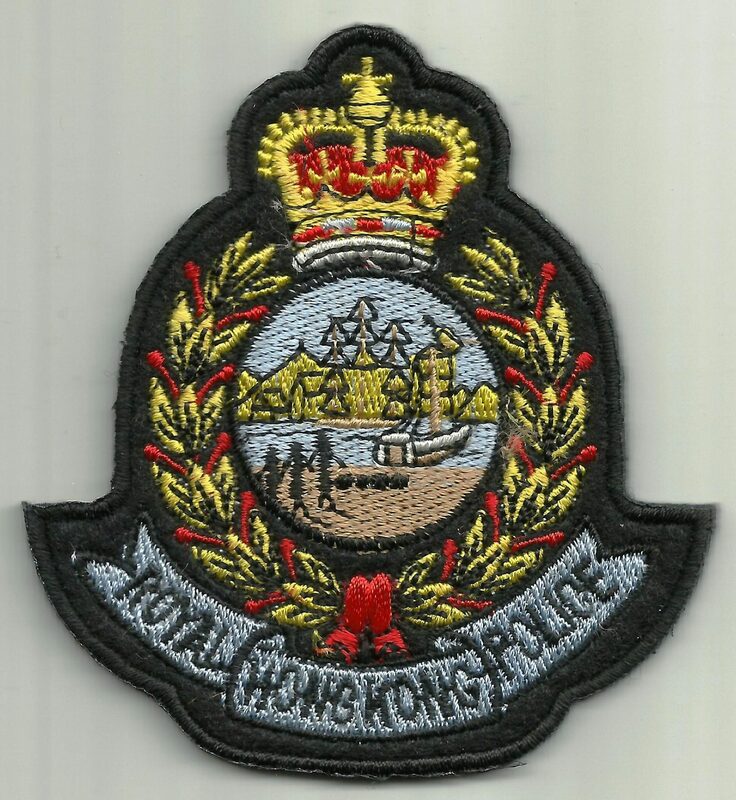 The Hong Kong Police Force (the Force) attaches great importance to effectively managing the wisdom, experiences and knowledge accumulated, accrued and acquired over the years either at the individual or the Formation/Unit levels. Such organizational wealth which exists in the form of Major Formation / Formation databases or intangible (tacit) knowledge residing within an officer is highly valued. With a view to enhancing the performance of the Force and in turn to delivering a better service to the public, the Force is committed to developing and promoting KM which should at all times be aligned with the Force Vision and Mission. Knowledge Management policies are still rare, and opinion on them is divided. Here is what the CKO of NASA said about the topic. Knowledge Management policies are coming. When the ISO KM standard is in place, next year or the year after, a KM policy becomes a requirement under the standard. This requirement is not unique to KM – all the ISO Management System standards reauire a policy. After all – can an organisation be said to have adopted a management system if there is no policy? However many people are resistant to KM policies. “Added beauracracy” they say. “We have a strategy – we don’t need a policy” they say. “We are getting by OK without one” they say. The NASA CKO, Ed Hoffman (now retired from NASA) used to be similarly sceptical, but is now a big convert. Here is what he says on the matter. “A policy sends a number of messages. First, it declares that we, as an organization, recognize what’s important. Second, it identifies a community of people who are held accountable for taking action. Third, a policy indicates that the organization and its leaders want to make sure things are done the right way. It sets a course without being overly prescriptive. Fourth, excellent organizations make a practice of communicating what they really stand for”. This is hard to argue with really. The policy is “a statement of what we really stand for”, and if you don’t have a policy for KM, do you really stand behind the topic? “Each center and mission directorate will develop its own strategy, with the understanding that knowledge will be shared across the agency to the greatest extent possible. The policy unifies these efforts. I am optimistic that the knowledge policy represents a significant step toward helping NASA achieve its potential as a learning organization. We have built a community that shares a commitment to sustaining NASA’s knowledge resources, and we have charted a course toward greater integration across the agency. If you have been doing Knowledge Management for a few years – if you feel that KM is becoming embedded in the organisation, but needs greater integration and greater commitment – then your next step is probably to craft a Knowledge Management Policy.